National Day of Prayer for Vacation Bible School (VBS) is Sunday, May 16th. Churches across America will be holding VBS leader recognition services and praying simultaneously for this ministry. 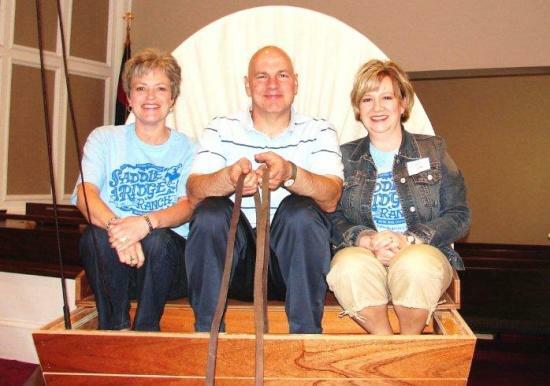 Traveling the "Saddle Ridge Ranch" VBS trail at Woodbury First Baptist Church is (left to right) Ann Haley, Rev. Hunter Hay V, pastor, and Libby Sledge.